Check South African Public Holidays for the calendar year 2017. 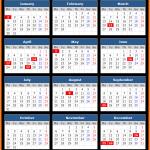 Check 2017 public holidays dates in South Africa for New Year’s Day, Human Rights Day, Good Friday, Family Day, Freedom Day, Labor Day, Youth Day, National Women’s Day, Heritage Day and Day of Reconciliation. 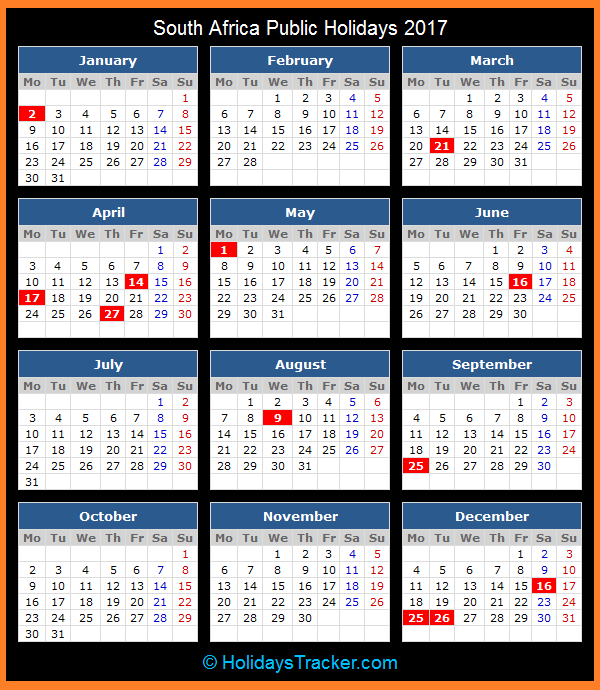 There are 12 public holidays as determined by the Public Holidays Act (Act No 36 of 1994). Whenever any public holiday falls on a Sunday, then that holiday is observed on following Monday.